The definition of foreshore as land that is below the high water mark of ordinary tides. Under this definition, most, but not all, of the approx. 12,500 private titles in the report run down into the foreshore. Interesting to note that of those 12,259 PT's, 2845 are Maori PT's, which is equivalent to approx 23% of the total, when Maori only equate to 15% of the population of NZ. Individual Maori PT's appear to be much longer. New Zealand's coastline is approx 20,000km long, apparently 5845km is in PT (approx 29%). 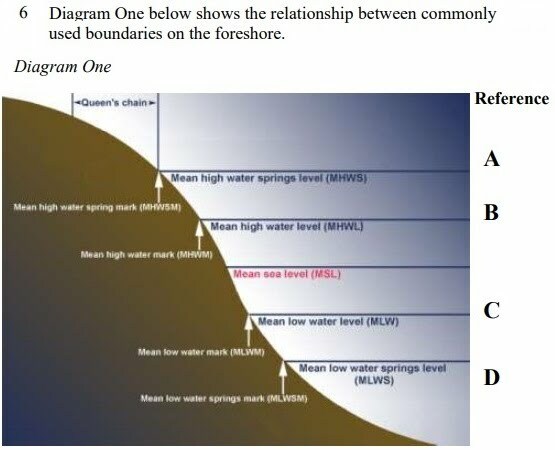 Of the total Foreshore and Seabed area (High Tide mark out to 22km) 100,000 square miles very little is in Private Title.